It’s the most magical time of year…wait that’s not right. It’s the best time of year ever! It’s summer and that means frozen boozy treats that keep you cool and calm during a heatwave or when children are running dangerously close to the edge of the pool are a must have. So, if you love wine and dessert get ready…Because I’ve done the hard work for you, in this weekly round-up you’ll discover 10 delicious wine slushies that will have you tipsy in the kitchen and grinning like a fool that discovered a $20 in the dryer. Don’t feel you need to stick to the script. Get your blender ready. 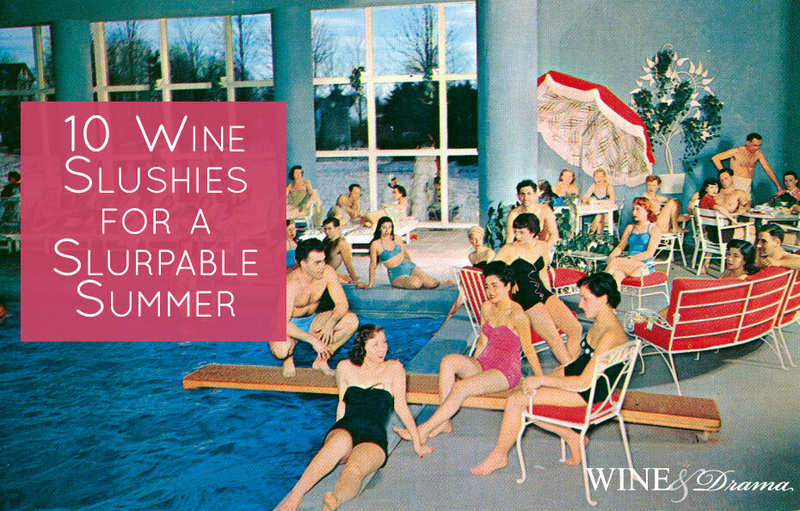 Throw in some decent wine, frozen fruit, some ice (if you really must), and blitz away. If you’re really thinking ahead stick some glasses in the freezer for at least 30 minutes and get ready to slurp. If you love rosé wine or want a wine slushy that makes other slushies feel like they’re the last girl to get asked to the class dance. Then you need to make a Frosé wine slushy. They’re elegant and just the right bit of bougie. I hope you don’t mind that I need to rant for a minute? Come. On. Wine is naturally gluten-free, vegan, and Paleo when it’s made. Are you also telling everyone your hemp skirt is vegan too? 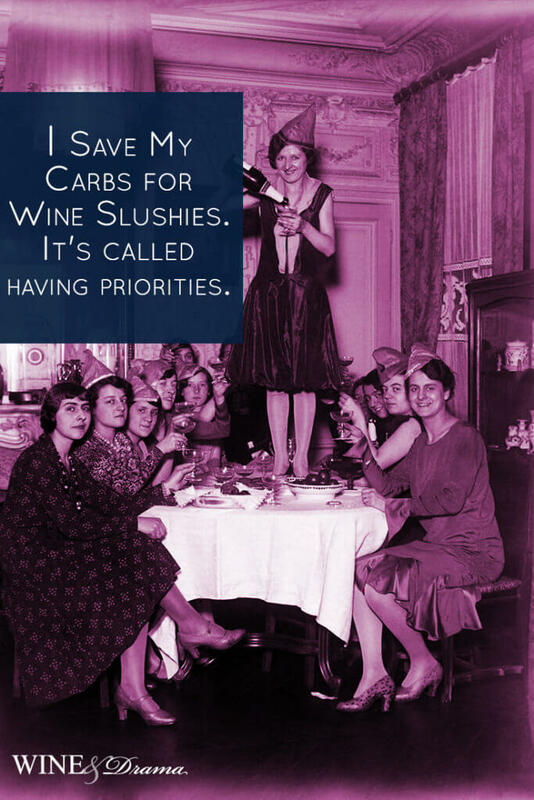 Unless you’re adding a baguette or collagen to all your wine slushy recipes and you suddenly decide on the off chance not to – then maybe you can proclaim your slushies as gluten-free or vegan. Maybe. Ok, I’m stepping off my soapbox now. Drink often and enjoy the frosty coolness of the adult version of a snow cone.